sat out there in the darkness, creating the world. Belinda: And what did he feel like, Lloyd my dear? Lloyd: Very pleased he'd taken his Valium. From Wilde to Orton via Benny Hill, English comedy has trodden a fine line between the incisively witty and the earthily broad. Of course the greatest does both, at the same time, and with extra sardines. Enter Noises Off. 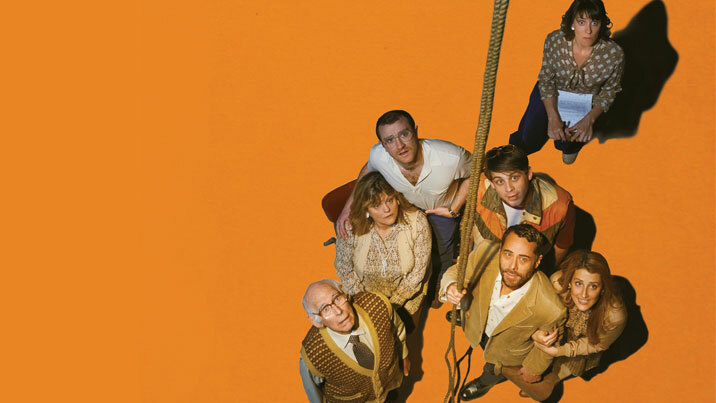 Michael Frayn's comic masterpiece reveals the goings-on as a Z-list touring theatre company attempts to mount the somewhat dire bedroom farce, Nothing On. With a deft comic touch, as seen in his play Australia Day and countless Wharf Revues, Jonathan Biggins directs a highly accomplished cast led by Marcus Graham as the despotic director, and including Genevieve Lemon, Tracy Mann and Ron Haddrick - a collective that will ensure that behind the pratfalls and missed cues is a craft so precise you'll not know where reality ends and the play begins. Will two separate love triangles, a dipsomaniac and lost contact lenses prevent the show from going on?